There are medical treatments that work to ... See More save lives from opioid addiction. These treatments are scientifically proven. They work. Yet, federally funded addiction treatment programs are still using treatment protocols that are not evidence based. Family members and support groups are, at times, in favor of treatment plans that are dangerous and can lead to deadly relapses. Dr. Bisaga is an addiction psychiatrist, clinician, researcher and professor of psychiatry at Columbia University. 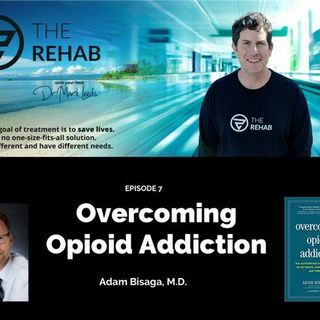 He is the author of "Overcoming Opioid Addiction", a brilliantly written book written for everyone to help us all understand how to help save lives in this ongoing opioid epidemic. Click here to buy "Overcoming Opioid Addiction: The Authoritative Medical Guide for Patients, Families, Doctors, and Therapists".